Pancakes don't have to be solely breakfast fare. For a dinner twist, try adding savory toppings and add-ins, like spinach and cherry tomatoes. Like pancakes, a crepe for dinner can bring out the creative side of a cook. Make a sweet or savory crepe and fill it with cheese, veggies, fruit compote, or chocolate. Your dinner guest will think it's tres chic! Like pancakes and crepes, you can add savory toppings to round out this night time meal. Try these pizza stuffed waffles or savory cheddar waffle BLT with egg. 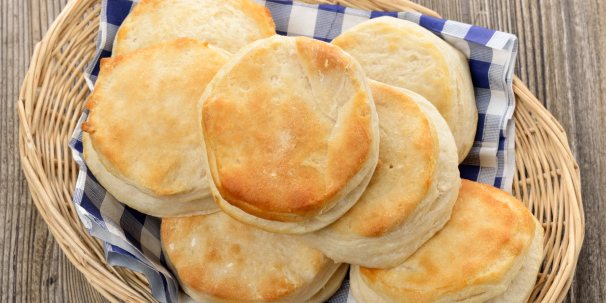 I've always thought biscuits are great as snacks and for any meal, but this recipe takes the traditional breakfast biscuit to the next level! Mix with cheese, meat or even leftover gravy, and you'll have a biscuit that transcends mealtime labels. Breakfast casseroles incorporate classic early-in-the-day flavors like cheese, ham, potatoes, and bread, but there's no reason these aren't just as good in the evening. This North African dish is a zingy twist on traditional poached eggs…and has enough sauce and veggies to eat for a respectable dinner. For younger diners, you may want amend the recipe and forego the poblano peppers and red pepper flakes. Breakfast burritos are packed with all the nutrients you need, and they're just as convenient to eat for dinner. Raid your fridge for leftover items, scramble them with your eggs, and dinner is served. 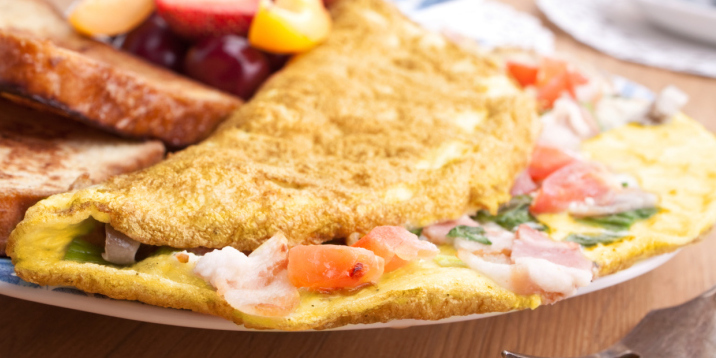 You can put practically anything in an omelet, which makes it an ideal meal, morning, noon, or night. My favorite omelet ingredients include feta cheese, spinach, and sundried tomatoes. In Spain, "tortilla" refers to a hearty egg-and-potato dish that's eaten warm or cold any time of day. Try this red bell pepper version that's like a casserole in a pan. This traditional French favorite puts a breakfast spin on a ham sandwich by adding a soft- or hard-cooked egg on top. Why not enjoy an egg, ham, and cheese sandwich for dinner? Easier to perfect than an omelet (and often heartier!) the frittata is a great, cost-effective way to eat breakfast ingredients anytime. I like a good vegetable frittata with roasted peppers and mushrooms, but you can pretty much stuff it with anything you're in the mood for. Made of potatoes and meat, hash won't empty your wallet or leave you feeling hungry. Try a traditional version or this healthy sweet potato hash recipe. Bacon is great anytime, but probably needs a little dressing up if you're going to do it right for dinner. 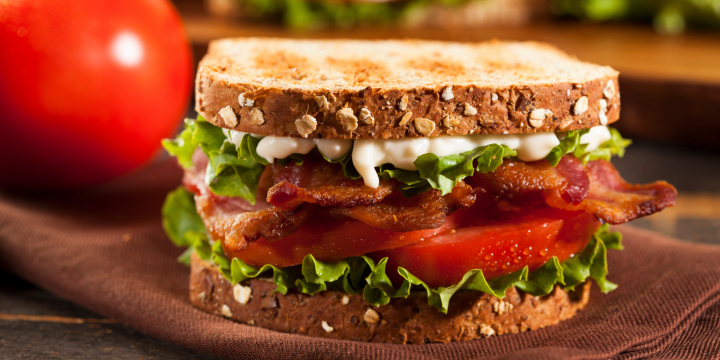 Take bacon and put it in your favorite salad or a BLT. You can also get a little more advanced and wrap a fish filet in bacon. Usually light and sweet, you can definitely make yogurt great for dinner, too! Make a yogurt salad with pepper, avocado, cucumber, dill, and other veggies you have lying around for a light vegetarian dinner you won't soon forget! Like a frittata but crustier, eating quiche for dinner will help you use your eggs and leftover produce and meat. This dish packs so much healthy protein, it should definitely not be confined to breakfast time. It doesn't have to be boring, either: throw in some vegan cheese, vegetables, and chili peppers to give your tofu scramble personality. This is a great, simple recipe from Babble.com if you're new to the making of a great tofu scramble. Sausage patties are delicious and filling, so why not eat them for dinner? Pair sausage patties with pasta and a light wine sauce, and you've got a great meat dish that will wow. Use yellow bell peppers as bowls for this morning/early afternoon dish that can include ingredients such as shredded hash browns, bacon, cheese, egg custard, and biscuit mix. Don't forget to eat the bowl, especially using this low-fat recipe. A dessert or traditional English breakfast dish, Bread pudding can be made savory with a little ham and cheddar thrown into the mix. 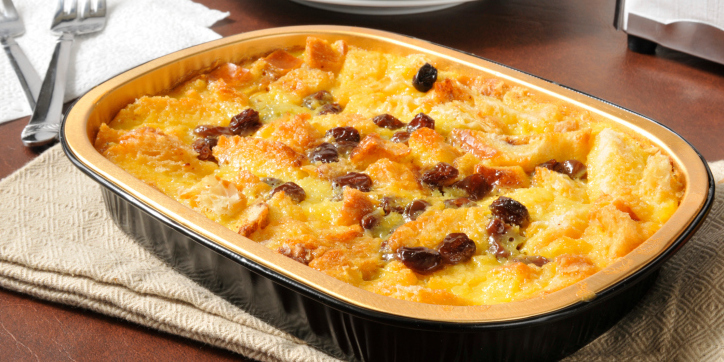 Try this delectable recipe from MyRecipes that gives a savory bread pudding a healthy twist. This Middle Eastern-inspired dish is popular for breakfast, but can easily turn into an unforgettable dinner. The dish traditionally includes a boiled egg and three salads (tabbouleh, cucumber salad, and baba ghanoush) complemented with crisp pita toasts. This version features just one salad, making it easy to make. A traditional Mexican breakfast, chilaquiles is a saute of day-old tortilla strips, fresh tomato sauce, cream, and cheese. This hearty version is baked and makes for a divine dinner, especially if you want to improvise and add some of your favorite veggies! What's your favorite breakfast for dinner dish? As a kid I always loved when my parents would make breakfast for dinner. It was quick and easy for my mom, who had been at work all day, and delicious and satisfying enough so we kids wouldn't even think about complaining about the meal. While simple eggs and bacon may not be sufficient dinner meals, this list is full of awesome ideas for supper. French toast,breakfast burritos, quiche, and smoked salmon with bagels all sound like awesome dinner ideas to me! Great list Girl!!! I also can fall back on this list for quick meals when friends pop over as most items are on hand & are easy to make. (hint; most stores now sale individual single serving cups of jalopenos to add to the above while camping or at home without opening a large jar) yummy!!! I would have breakfast for dinner many times growing up. It has been a while since I have done it though. After reading this list, I'm thinking it's time for some blueberry pancakes and sausage for dinner. The best part about breakfast for dinner is that it is quick and doesn't cost very much to do.